China confirmed Monday that its only aircraft carrier participated in military exercises for the first time last week in the South China Sea, days after officials in self-ruled Taiwan said the exercises were underway only 166 kilometers south of the island. The military drills were conducted amid heightened tensions after U.S. President-elect Donald Trump spoke by telephone with Taiwan’s president, to the chagrin of China. 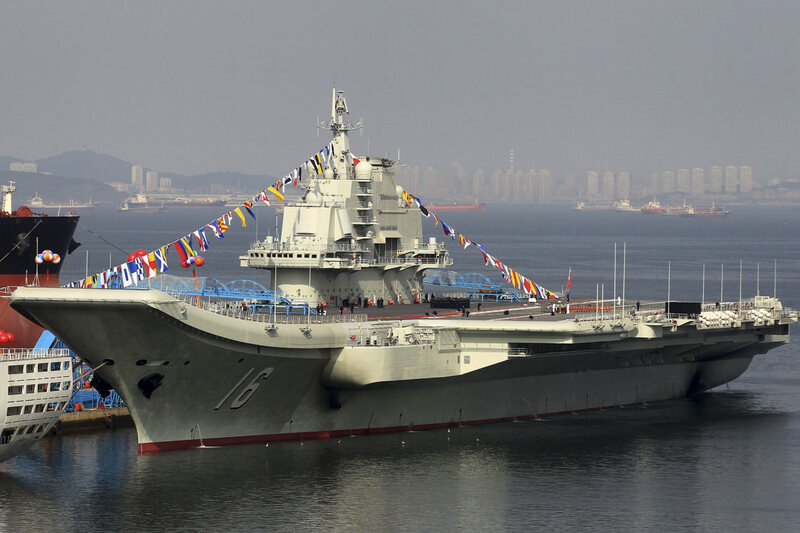 China’s Defense Ministry said its Soviet-built aircraft carrier accompanied other naval ships as they sailed around the east coast of Taiwan. China said the drills were routine and complied with international law. On Monday, the aircraft carrier’s J-15 fighter jets conducted exercises in “complex sea conditions,” according to China’s People’s Liberation Army Navy. The carrier group also ran helicopter drills in an unspecified location. Beijing has claimed Taiwan since the Chinese civil war of the 1940s and insists on eventual unification of the two sides, despite Taiwanese opinion polls indicating a preference for autonomy.